(CNN) – The Romney campaign has received a cease-and-desist request from the rock band Silversun Pickups, which alleges illegal use of its song "Panic Switch" at a campaign event in August in North Carolina. "Seems as if the GOP is once again whimsically ignoring our great nation's laws to do whatever it wants to do, and shooting itself in the foot in the process," band representative Ken Weinstein said in a statement Wednesday. "Without any regard for copyright or intellectual property laws, Republican presidential candidate Mitt Romney has, without permission, begun to use Silversun Pickups' 2009 smash 'Panic Switch' at campaign stops across the country," the band said. Romney spokeswoman, Amanda Henneberg, responded to the request saying, "The song was inadvertently played during event set-up before Gov. Romney arrived at the location." "As anyone who attends Gov. Romney's events knows, this is not a song we would have played intentionally. That said, it was covered under the campaign's regular blanket license, but we will not play it again," said Henneberg. In their statement, Silversun Pickups said, "Neither the band nor its representatives were contacted to gain permission for the use of the song, and the band has no intention of endorsing the Romney campaign. The band's attorney issued a cease-and-desist today." "We're nice, approachable people. We won't bite. Unless you're Mitt Romney!" lead singer and guitarist Brian Aubert said. "We were very close to just letting this go, because the irony was too good. While he is inadvertently playing a song that describes his whole campaign, we doubt that 'Panic Switch' really sends the message he intends." This is far from the first time a campaign has been asked to stop playing a band's music at campaign events. For example, the composer of the popular song "Eye of the Tiger" filed a copyright infringement complaint against Newt Gingrich during the Republican primary season earlier this year. And, during his 2008 campaign, soul singer Sam Moore asked then-senator Obama to stop using his song "Soul Man." I think that Ted Nuggent will gladly let you use one of his songs...if anyone has ever heard them outside an NRA meeting hall. LOL!!! It's funny because it's somewhat true. poopy pants played Ruth Eckerd Hall in Clearwater last week – a 2800-seat venue – and only managed to fill 1500 seats! In the last 3 years, I've seen Cyndi Lauper, Ray Davies, the Monkees, Ian Anderson and a few other bands/individuals at REH – and ALL played to sold out crowds with people milling about outside the venue looking for tickets!!! Sue him; go after all of his money. Bring him to his knees so he can see first hand what it’s like on the other side. They ought to be glad he wants to use their song...dips! Jeez, ya got Pat Boone and Ted Nugent, what more do you need? Didn't that rich old prune in Las Vegas who writes unlimited checks to finance "his" government offer up a jingle? Maybe a rousing tune from WWI. We now have a campaign that is no more honorable than one that could be bought at K-mart. I am voting for MAYHEM. At least that dude can handle a catastrophe. Re-calibrate... ! Liberals crack me up... something over nothing. ROFLMAO.. They should be playing "I Wish I Was in Dixie". Throw your base some red meat for Pete's sake! Something "lifted" from The Lawrence Welk Show would have been more in keeping with the Romney/Ryan "crowd"! Or Pat Boone , Ted Nugget or Kidd Rock . What's wrong with Lawrence Welk , he has a bubble mechine , Romney makes money on bubles . SHOW US YOUR TAXES < WE WANT TO SEE YOUR OVERSEAS INVESTMENTS AND OFFSHORE TAX HAVENS . Who cares about Romney's tax returns other than Dems and Obama supporters? Apparently, 2/3 of all Americans care. I don't blame anyone for using loopholes to avoid paying this bloated govt any more money to waste on frivolous programs and hand outs to the gimmie crowd. When George Romney - father of Mitthead - released 12 years of tax returns, Americans learned that he did NOT use all of the loopholes, deductions, exemptions, etc., to avoid paying taxes. Why? Because he believed it was his civic duty to pay more because he earned more. Mitthead must be so disappointed. "Both evangelicals and mormons are not Christians. Just read the New Testament and you will find out that they are both cult religions." Why ALL the Slander....... OTHER candidates have been ask not to use Songs. He is gracious and I am sure will stop..
You had rather Obama Joke and make fun of Serious issues. I choose a serious man who can turn this country around If it can be turned around after Obama's blunders. Obama has the business sense of a nut. I bet they wouldn't care if Obama was using their music. "Forget the music nonsense, more important to know why Romney won't release his tax returns. Is he hiding something? Did he not pay any taxes for ten years?" --He's hoping with Voucher Ryan in the picture, WE THE PEOPLE will forget about asking for those pesky tax returns. Even his wife got testy yesterday when asked about them, that interview will appear today on a Brian Williams program. I say the reason he is hiding them is either that he has way more than $250 million, or that he is hiding his figures because he is giving his church less than the 10% they require. They seem to think it is Christian to steal from others. It also seems that it is Christian to strap your dog to the top of your car. And again Christian to hold a kid down and cut off his hair. NOT THE KIND OF CHRISTIAN I WANT TO BE IN THE WHITE HOUSE! Yeah. The song was used inadvertently. That's what the republican party does best. Mis-speek and do thing inadvertently. Do they really think anybody buys their BS? It is my understanding that "Panic Switch" and its album "Swoon" touch upon the themes related to nervous breakdowns. "I'm waiting and fading and floating away" is one of the repeated line in the closing vers of "Panic Switch". This is an odd campaign selection. 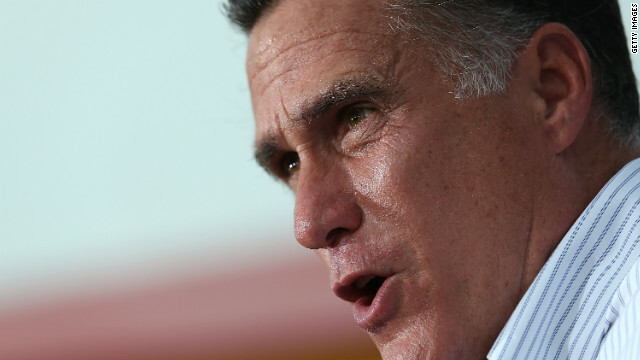 Does Mitt Romney have mental health issues? Maybe Romney's European tour took a greater toll on his stability than we thought. Very disappointed to hear the President used a Sam Moore's song without permission, this has always been a GOP problem, (Palin, Gingrich, whoever Jackson Brown sued and WON against.) The GOP is NOT COOL, so it's pretty typical (and illegal) of them to continue to do this. Fleetwood Mac gave President Clinton their platinum copy of Rumours once he was in the White House. The only song the GOP needs is ONWARD CHRISTIAN SOLDIERS, and they don't need to infringe a copyright for that. Use some Nugent Willard, he's your boy. Release your taxes, let's see that you have paid more than 13% in income taxes over the last 12 years. We all know that under the Eddie Munster plan you'd be paying less than 1% for being a "job-creator" that has not created a single job...even for himself for 6 years. Mr. Romney and his staff did not ask for permission to use this song. That would have been the correct move on their part. Everyone else has to ask for permission or pay a royalty and this should apply to Mr. Romney as well. As a businessman he should be very aware that in the USA we do not take other people's property and treated as if we own it. Where are those tax returns? We should just "trust you"? Why? Those people Bain Capital threw in the street with no pension trusted you... How did that work out for them? We know how it worked out for you – you got even richer! decent fan base and are moderately successful. Still, they have every right to ask for their music to stop being played. You know that the ones claiming to never have heard of the Silversun Pickups are typical GOTP base: they are more familiar with Pat Boone and Bing Crosby, they don't know about today's music that the "whipper-snappers" are listening to. Chalk it up as yet another reason why the GOTP fossil party is going the way of the dinosaurs. While the nation progresses, they are stuck in the 1950s and prior. Oh well, we'll be better off when they are fully extinct. Romney should stick with Kid Rock's "Born Free". Because if you love FREEDOM, you'll vote Romney! "The song was inadvertently played during event set-up before Gov. Romney arrived at the location." Add it to the list of BS coming out of the Romney campaign. Keep repeating the Right-wing media nonsense. Be forewarned however, that doesn't make it true. Maybe it will make you feel better about voting for the GOP- who will sell you down the river right quick.